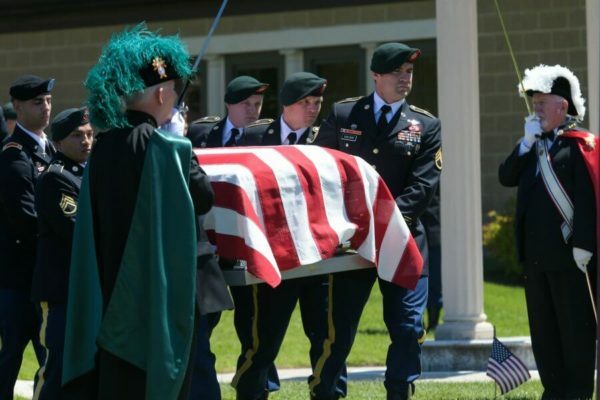 ABINGDON – Deep blue skies and the warmth of the morning sun greeted family, friends and dignitaries May 9 as they said goodbye to U.S. Army Staff Sgt. Mark Rochetto de Alencar at his funeral Mass at St. Francis de Sales Parish. The U.S. Army soldier died April 8 from wounds sustained during military operations in Afghanistan. Army representatives in full dress uniform escorted de Alencar’s casket past an honor guard offered by members of the Knights of Columbus Father Maurice J. Wolfe Council 11372, which is affiliated with the parish. 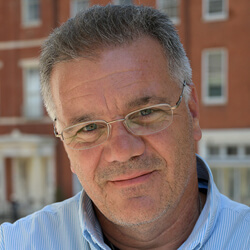 A Florida resident, de Alencar had lived in Harford County in his teens and 20s, when his family worshipped at St. Francis de Sales. He was a graduate of Joppatowne High School. 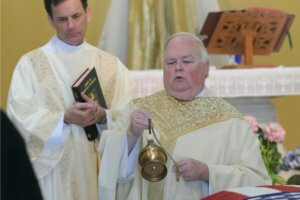 Father John “Jack” Ward, pastor of St. Francis de Sales, offered the funeral Mass. The homily was offered by Deacon Ray Van Pelt, an Army veteran who serves at St. Joan of Arc Parish in Aberdeen. He drew parallels to Christ’s sacrifice on the cross to de Alencar’s death. “In the greatest love and sacrifice, Jesus took on all the sins, the hurt and grief that could be thrown at him,” he said. The same, Deacon Van Pelt continued, could be said for de Alencar, who, he said, “gave his last full measure of devotion” for those oppressed by evil. The somber occasion momentarily broke into a bit of laughter when it was shared that de Alencar was ever confident in his soccer and carpentry skills. The entrance to the church was decorated with red, white and blue streamers and other patriotic mementos created by preschoolers of St. Francis de Sales Parish. 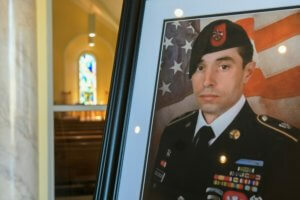 De Alencar was to be buried at Arlington National Cemetery in Arlington, Va.